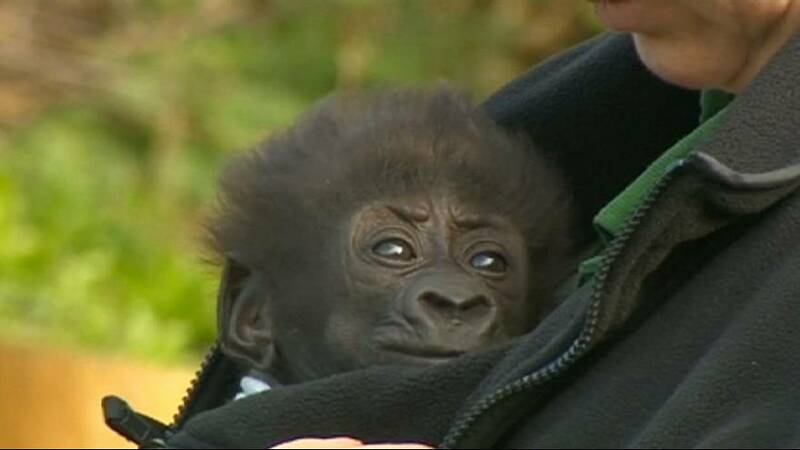 Seven-week-old Afia, the first gorilla born by Caesarian section in the UK, was taken by one of her surrogate zoo keeper mothers into the gorilla enclosure for the first time on Wednesday (March 30). It was a tiring moment for the tiny creature, who fell asleep in her keeper’s arms. Afia’s mother is still recovering from the operation.